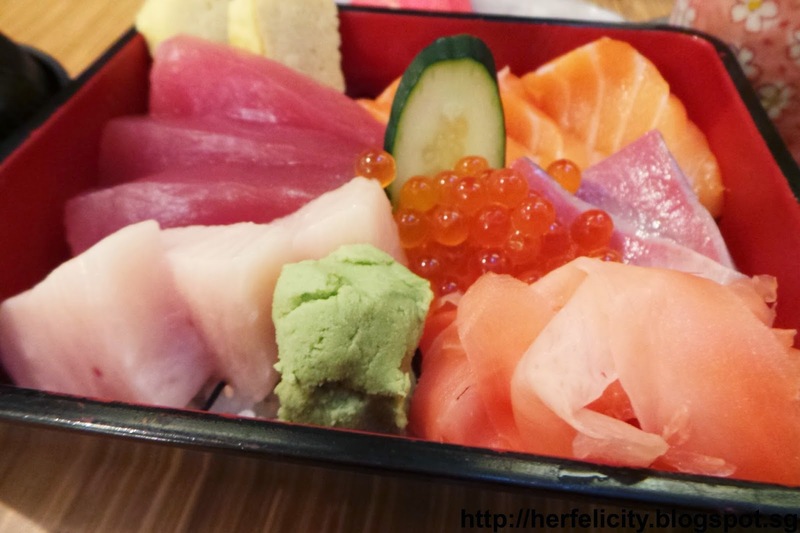 When asked where is the best place for good Chirashi, Chikuwa Tei will probably be one of the most recommended location. 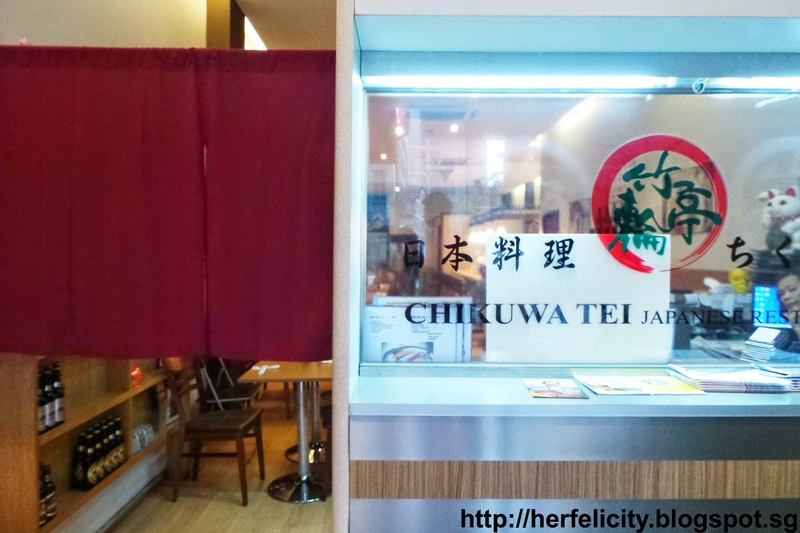 Located at Mohamed Sultan Road, Chikuwa Tei is opened by the former Chef of the famous Wasabi Tei @ Far East Plaza. Unfortunately, the Chef has left to be at Mitsuba. 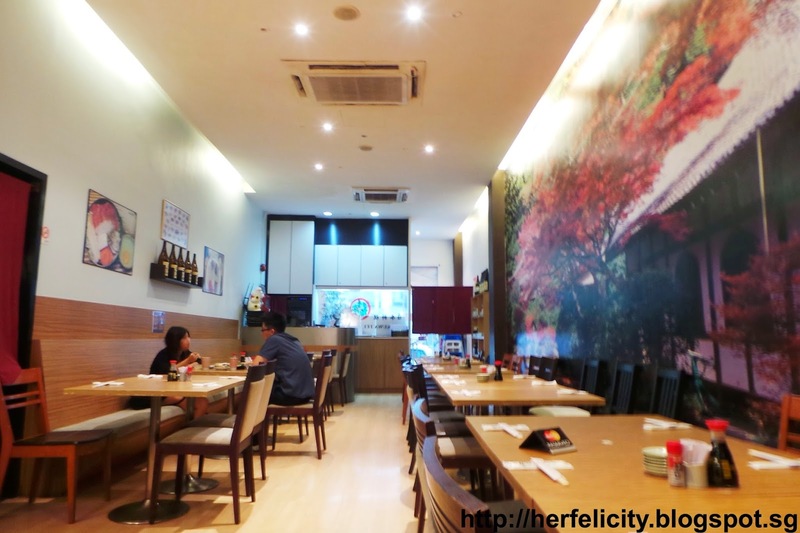 I haven't been to the latter, but I find their menu kinda similar to Chikuwa Tei as well. Anyway, don't be fooled by the emptiness of the restaurant. The lunch crowd is usually insane, dinner as well. So we chose to visit for an early dinner. ps: we left about 8-ish and there was a queue forming. We were served with an appetizer before our main. Can't remember the name, but it was a cold salmon skin dish. Really refreshing and all of us enjoyed it. Because nobody leaves Chikuwa Tei without having this. It's like a dream bowl for every sashimi avid, consisting of shake, mekajiki, maguro, tai sashimi, all in really thick cuts! For the price, you get a side of miso soup and watermelon as dessert as well! 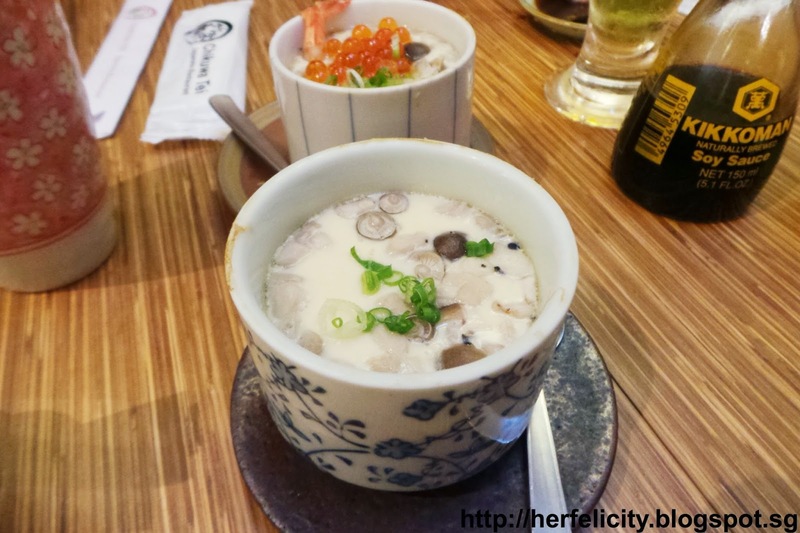 茶碗蒸し, Chawanmushi, Steamed Egg, with Ikura ($8.00) with Uni ($12.00). We also shared two of their famous chawanmushi. Got to say that both of them were really packed with ingredients and flavourful as well. However, I didn't quite like the fact that they were too watery for my liking. 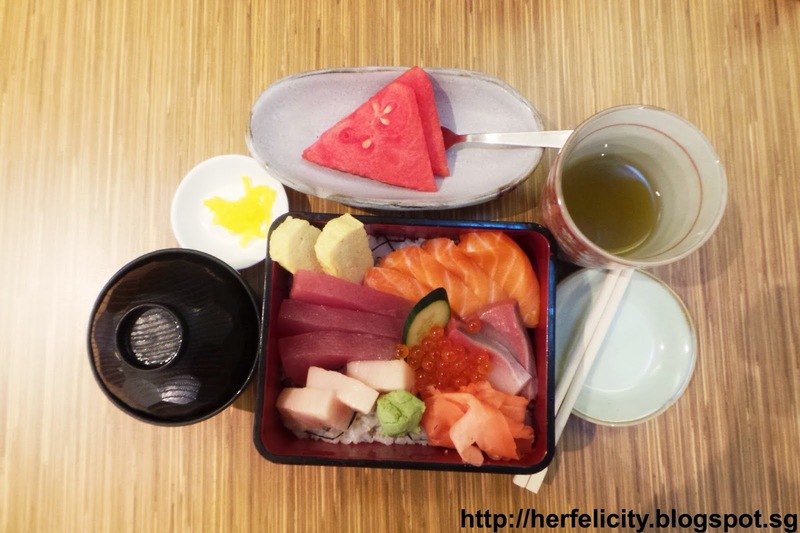 I would say Chikuwa Tei is definitely a wallet-friendly place to head to when craving for some fine selections of sashimi. Would love to try Mitsuba soon for a good comparison!